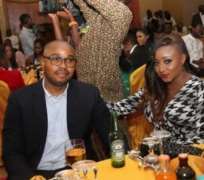 Ini Edo sure has one thing on her mind more than any other thing and that is the fact that she wants a very large family, who would've thought. The beautiful and talented actress exclusively revealed to Emma Emerson of Golden Icons in a recent interview where she answered questions ranging from career, meeting and choosing her husband, her fellow nollywood colleagues, weddings and more. Watch the interview and enjoy!